Build your dream kitchen at an ideal cost when you partner with a professional kitchen designer at ProSource® of Savannah. The team at ProSource has the tools and know-how to help design a dream kitchen and select the wholesale features and fixtures pros and their clients want. We make it easy to navigate the variety of options effectively to get you what you want. New cabinets offer an upgrade in style that can also add functionality to your kitchen with increased storage and cooking space. Our team is here to help you determine which cabinets will give you the best of both for you or your client’s home. 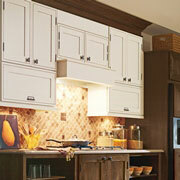 Come see our showroom to find your perfect cabinets for your remodel. 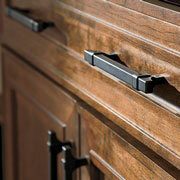 The cabinet hardware is an essential detail for bringing together the entire look of the kitchen. At ProSource of Savannah, we offer an excellent selection of kitchen cabinet hardware so you can get everything you need to complete your renovation in one convenient place. From traditional knobs to pull handles designed with extraordinary craft, we have everything you need and more! Increase the potential functionality and aesthetic appeal of your kitchen with a set of kitchen countertops from ProSource of Savannah. We know that choosing the right countertops involves taking into consideration many factors, including your client’s personal preferences, budgetary restrictions, and lifestyle requirements. 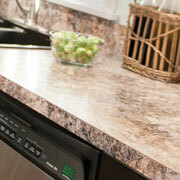 That’s why our team is here to help you determine which high-quality countertop style best suits your needs. We offer a huge selection of different styles and configurations, so no matter what you’re looking for, you’ll find it in our showroom at ProSource of Savannah. We also offer our sink styles and configurations in multiple materials such as stainless steel, cast iron, composite granite, cast acrylic, copper, fireclay, and much more. 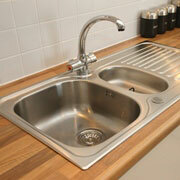 You can use our kitchen experts to help guide you in deciding which sink type is best for your kitchen remodel. 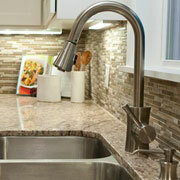 ProSource of Savannah has a variety of faucet styles, colors, and functions to add the finishing touches to any kitchen remodel project. Visit our showroom or browse our catalog to find the right faucet for you or your client, such as a standard faucet, beverage faucet, pot-filler faucet, and more.